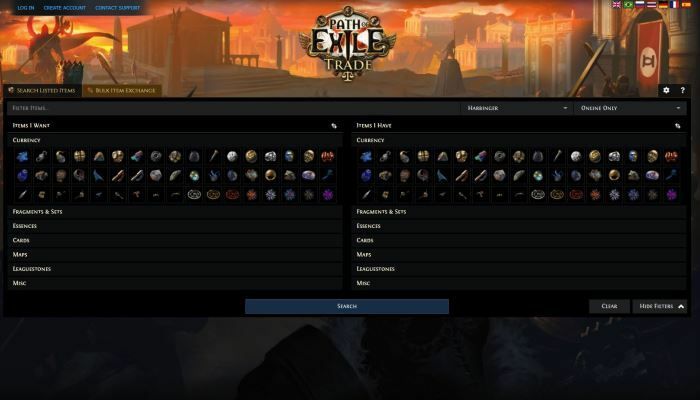 Grinding Gear recently opened the official Path of Exile Trade Site that provides players more options for players to participate in trading. We had the opportunity to interview the team to learn more about the development process and how it's being used give players new flexibility when it comes to finding just the right items. MMORPG: You recently opened the beta Trade Site for PoE. Tell us about the reasons behind it and the process behind its design. GGG: We created the trade side to create more options for our players and to enable support for cross-language trading. Previously, only English-speaking players were able to use community trading websites but now it's possible for everyone to. In order to achieve this, we took stock of what features were popular with community sites and integrated our own take on these features into our own site. We also improved our Online API so that trading websites could filter out players who are AFK mode, to reduce frustration when trying to find players who would reply to messages quickly. MMORPG: You mentioned "popular community sites". Were any of the owners or web designers behind those sites included in any kind of features or design development? 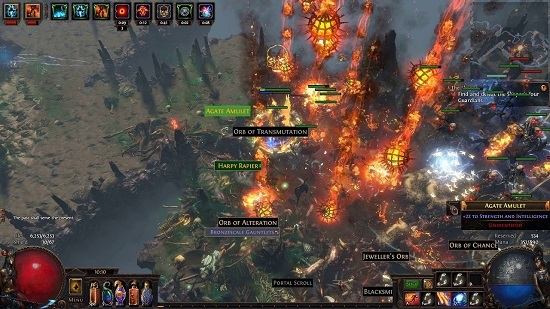 GGG: No, we used in-house developers and our own experience trading in Path of Exile. MMORPG: What type of functionality and QoL improvements does the Trade Site bring to players? GGG: The functionality is similar to other community sites, but importantly supports languages other than English. This is the key reason we released it. MMORPG: What specific feature makes the official site more functional and more beneficial for players to use? GGG: For the most part we aimed to keep the website on par with other trading websites but we now support multiple language options. Improvements like filtering out AFK players are made public so that they can be used by all trade sites. Our goal is not to be better than other sites, but to provide equivalent functionality for non-English users and to provide more options for English speakers. MMORPG: Do you have any plans to add additional features? 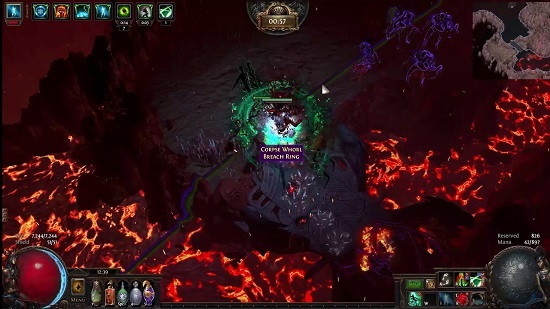 GGG: We will continue to assess what features are needed for the site as time goes on, but it is likely that new features will be added in future. MMORPG: How many languages are currently available to your community? GGG: There are currently four official languages: English, Russian, Brazilian Portuguese and Thai. We're currently testing our full translation for German, French and Spanish which we expect to officially launch with our upcoming expansion. Players who read Traditional and Simplified Chinese are also able to play on the official Taiwanese and Chinese Realms operated by Garena and Tencent, respectively. MMORPG: You mention in your Trade Manifesto that you wanted to be careful about "Easy Trade" and the inevitable arrival of Trade Scraping bots. Was this a big issue with regard to trading? Were items ever found to be being sold for "real world cash"? Any persistently online game where players are able to trade will encounter this issue. We have many effective systems in place to combat this and it's something we constantly monitor and consider when making future plans. MMORPG: Why is it important to "expose the status of the AFK players? GGG: This is important as it can be frustrating for players to message many players to engage in trade and have them be unavailable due to their AFK status. Being able to filter them out from the beginning means that no time will be wasted messaging unavailable players. MMORPG: How has the beta been going so far? What lessons have you taken away and where are you heading in the future? GGG: The Trade Website test phase is going well. We're continuing to listen to player feedback for ways that we can improve the site. They have some great suggestions regarding user interface improvements.